DuoVac vacuum systems have captured the global market due to its years of experience and innovation. It all started with the carpet cleaning service offered by Conrad Sévigny who was able to extract soiled water with ease during his sessions. During this time, Sévigny also started working on a prototype of a carpet-cleaning water extractor, which was introduced in the market in 1982. This carpet-cleaning water extractor had a built-in automatic drain technology. In the same year (1982), Conrad Sévigny founded DuoVac, a small family business in St. Hyacinthe, Canada. By 2006, DuoVac International Inc., was a world leader and today it has numerous retailers and a strong distribution network in North America as well as 20 countries across the world. Duovac was founded in 1967 as a home electronics company. The company has come a long way since then, growing into a worldwide presence. Duovac has continuously impressed consumers with their products intelligent design and durable manufacturing while still maintaining affordability. Duovac products are exported to 47 different countries in North America, South America, Europe, the Middle East, Africa and the Far East. 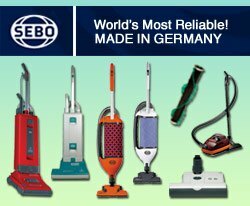 In Canada, the company is now the largest central vacuum manufacturer. In the North American market, the Duovac product line has been used extensively in both residential and, because of its engineered durability, commercial applications. It has been used in nationwide applications for daily facility maintenance for shoe stores, book stores, drug stores, restaurants, jewelry stores, hair salons, department stores, college dorms, office buildings, banks, schools, hospitals, theaters, gyms, hotels/motels, and more! The prestigious client list has included: Sony Electronics, Nike, Genovese Drug Stores, Nine West Shoes, Aldo Shoes, Garage USA, Syms Department Stores, Jos. A. Banks, Easy Spirit Shoes, San Remo Gift Shops, Levi’s by Designs Clothing Stores, Walden Books, Regis Hair Salons, Royal Doulton, Carter’s Children’s Wear, A.T & T. Phone Stores, Florsheim Shoes, Helzberg Diamonds, I.H.O.P., Holiday Inns, Sirloin Stockade, and more. Winner of the Consumers Choice award for the past seventeen years, Duovac has been the standard of excellence in Central Vacuum Systems for over 45 years. Duovac Simplici-T 642 AirWatts, up to 3,500 Sq. Ft.
Duovac Star 806 AirWatts, up to 9,000 Sq. Ft.
Duovac Sensa 651 AirWatts, up to 8,500 Sq. Ft.
Duovac Air 10 694 AirWatts, up to 6,500 Sq. Ft.
Duovac Air 50 702 AirWatts, up to 12,000 Sq. Ft.
Duovac Distinction 1177 AirWatts, Commercial Grade, up to 12,000 Sq. Ft.
What are the Reasons I should buy a Duovac Central Vacuum Unit? Superior Filtration: All DuoVac central vacuum systems offer superior filtration efficiency. This basically means that at 0.1 microns they remove particles from the air at a 97.5% efficiency. As a result, there will be no need to vent the exhaust outside your home or business. The filtration technology used in DuoVac central vacuum systems ensures that no allergens or dust particles get stirred and there are no suspended dirt particles in the air within your home. Strong Motor: DuoVac central vacuum systems consist of Ametek motors, which are considered to be one of the best and strong performers in the world. Apart from the performance of the motor, these vacuum systems offer a high level of efficiency due to the highly advanced DuoFibre Quick™ filtration system. All DuoVac central vacuum systems consist of an oval-shaped DuoMax™ dust receptacle. 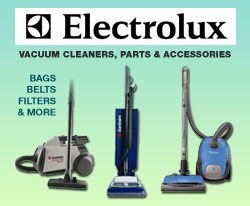 The power of the motor and the filtration technology put together helps in amplifying the cyclonic effect and enables 3 to 4 times more cleaning power as compared to portable or standard vacuum cleaners. 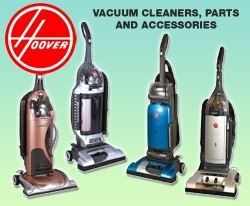 Convenient Installation: Duovac central vacuums are easy to install in new homes as well as old homes. They have been manufactured using stainless steel or aluminum for a strong and durable product. Depending on the model, they can easily clean in ranges from 2,000 to over 10,000 square feet homes or businesses. Duovac strives to be the world leader in innovation, design, and production of central vacuum systems and air solutions that provide a better living environment for residential and commercial markets. Duovac products are the most convenient, best performing and durable in the industry.